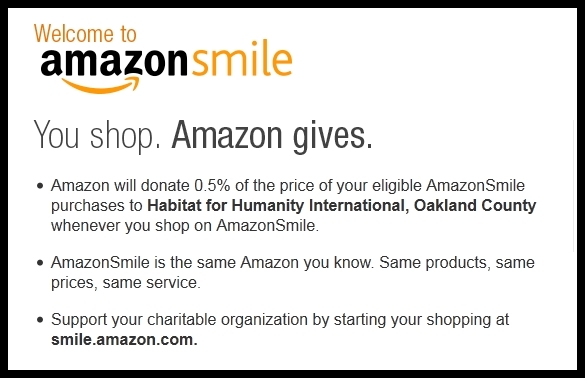 Shop through our special link and Amazon.com will donate 0.5% of the price of your eligible Amazon Smile purchases to Habitat for Humanity Oakland County. Just click on this link above or on the Welcome to Amazon Smile. Thank you!